Prepare to learn the story of a grape’s journey, told through aromas and flavors. What do you taste? It’s the penultimate question related to wine. That’s because what you taste is totally dependent on a wine’s aroma. The easily-identifiable fragrances and aromas in wine are due to the grapes being used, which develop their characteristics from the terroir—the soil in which they grow—and finally by the choices made by the winemaker. We append elements like aroma and flavor as a way to communicate the way wine interacts with us. 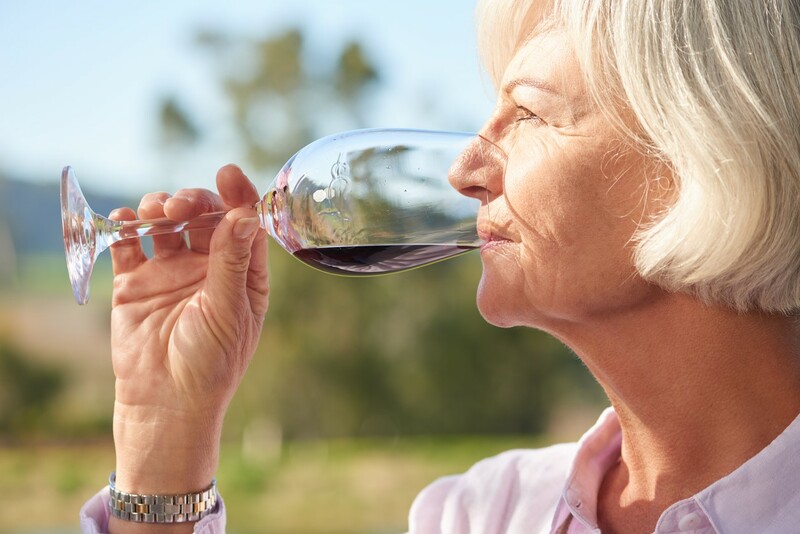 It’s exciting and gratifying when we identify a singular characteristic in a wine, and those drinking it with us agree: they can taste or smell it, too! You say you’re tasting a hint of coffee? Or maybe chocolate? You’re detecting the characteristics the wine has pulled in from the oak casks in which it aged. Different wood species will help wine to develop characteristics that can remind you of flowers, or even licorice. Over time, as the wine continues to age in the bottle, it’ll develop what’s known as tertiary qualities. 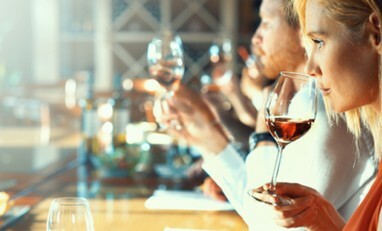 These are the secondary flavors and aromas that’ll come to mind when you take a sip of wine and after you experience the stronger primary flavors and aromas. These tertiary qualities develop over time, and they add both complexity and depth to a wine. They’re usually associated more with the characteristics of the earth in which the grapes grew. A taste of wine that after a moment makes you think of stones often speaks of soil that sits upon limestone bedrock. It shapes the pH of the soil. The grapes have pulled this in through the soil, and now they’re telling you the story of the ground in which they grew. 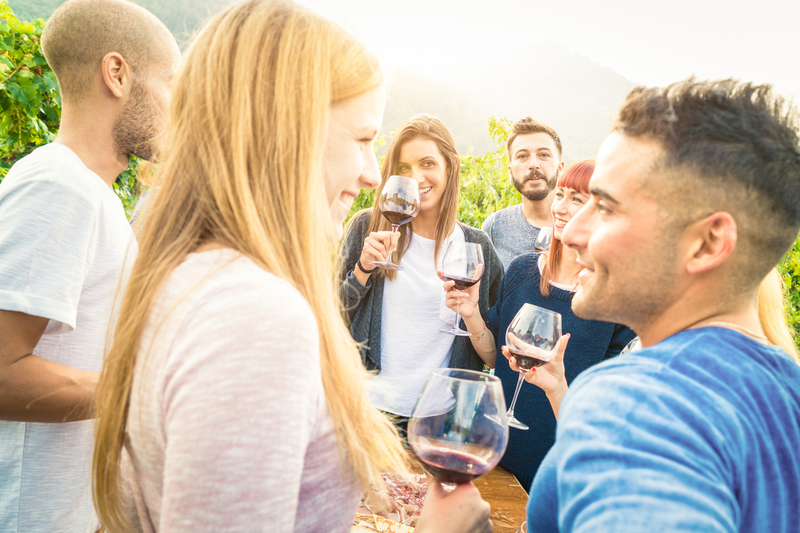 Who knew that wine could be such a conversationalist? What do Orange Coast wines have to say? The Orange Coast Malbecs and Zinfandels will definitely speak to you of berries. If your preference is for a white wine, you’ll find that the Orange Coast Pinot Grigio has a primary aroma of pears and finishes with a floral flourish. The Sauvignon Blanc, on the other hand, will serve you an aroma of lemon grass and citrus before finishing off with hints of vanilla. What do you taste? The sensations your nose and mouth deliver to you are pieces of the story of a grape’s journey. You’re experiencing the tale of what it took from the earth as it grew, what it learned from the wood as it fermented, and what it combined to unfold as it aged in a bottle. Excellent wine and great music: Is there a better combination? Though the wine may be the star of the show, there are other reasons to come out to the winery to see us. We regularly host special events, including live music featuring some of the best musicians from the area and all over the country. Here’s just a sample of who you might see when you visit us. A native of Los Angeles, James Intveld has been performing for decades and has put out three albums. 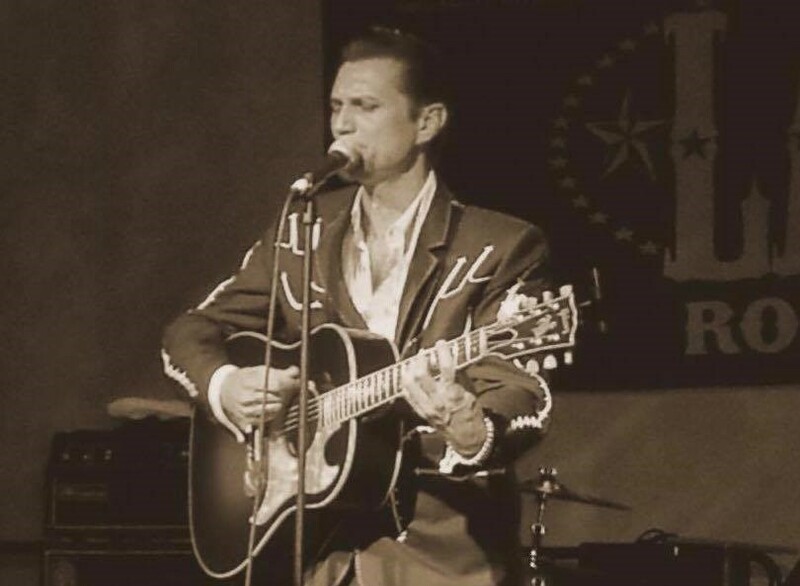 Often compared to the likes of Roy Orbison and Ricky Nelson, Intveld creates his own unique blend of music that encompasses old-fashioned rockabilly with a more modern flare. In addition to music, Intveld has other passions: acting and directing. He’s been in several movies, including Indian Runner and Chrystal, and you didn’t see him in Cry Baby, but you heard him every time Johnny Depp sang. To learn more about James Intveld, you can visit his website, and you can see him in person at the Orange Coast Winery on September 21. The show benefits the Alzheimer’s Association. Originally from Greece, Stavropoulos has been in the U.S. for less than a decade, but he has already established himself around the country as a great musician and excellent storyteller. While with two alternative rock bands, he released two albums that have gotten extensive radio play. Currently Stavropoulos is touring as Andreas and the Revolving Riot, an acoustic act featuring a mix of new songs, fan favorites, and even a cover or two. Although he does a lot of solo shows, he is frequently joined by other talented musicians on stage. 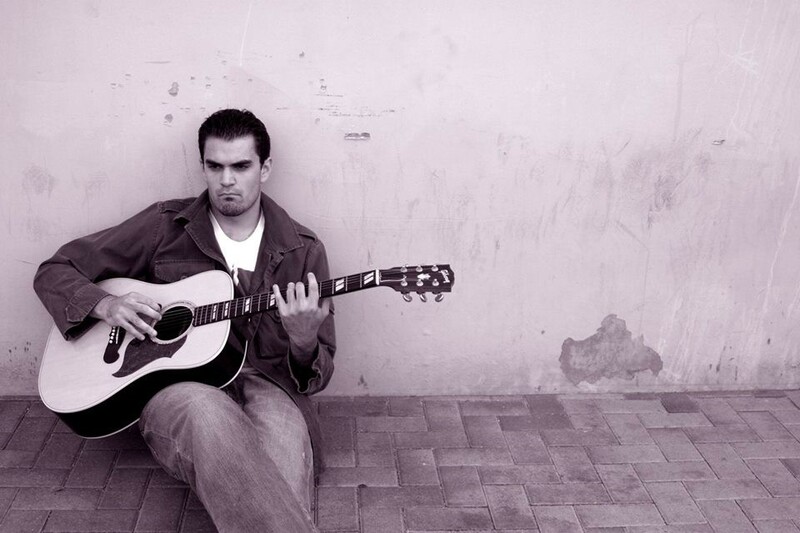 Stavropoulos has performed numerous times at the Orange Coast Winery, and every show is a blast. Check out his Facebook page to see what he’s up to. 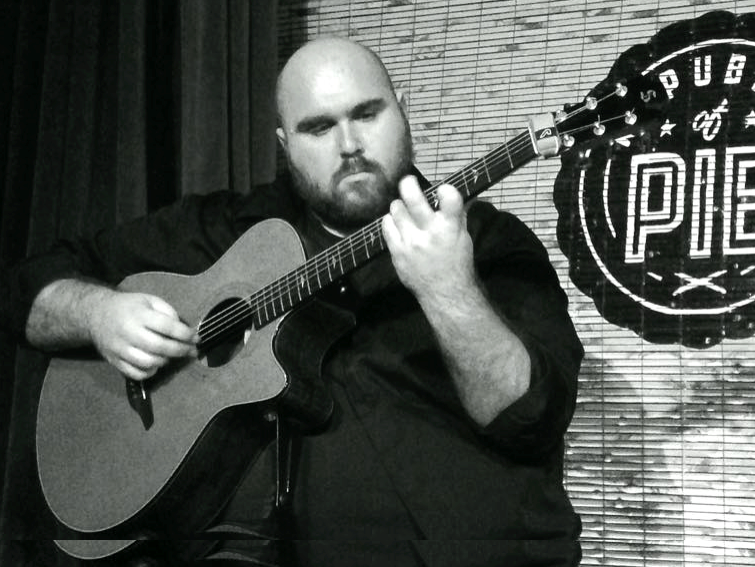 Donovan Raitt is one of the premier acoustic guitarists working today. Incorporating elements from rock, jazz, and even classical music, Raitt utilizes innovative techniques to create a sound all his own. And if his last name seems familiar, that’s because his cousin is Bonnie Raitt. Donovan Raitt has released two solo albums and his YouTube videos have gotten thousands of plays. 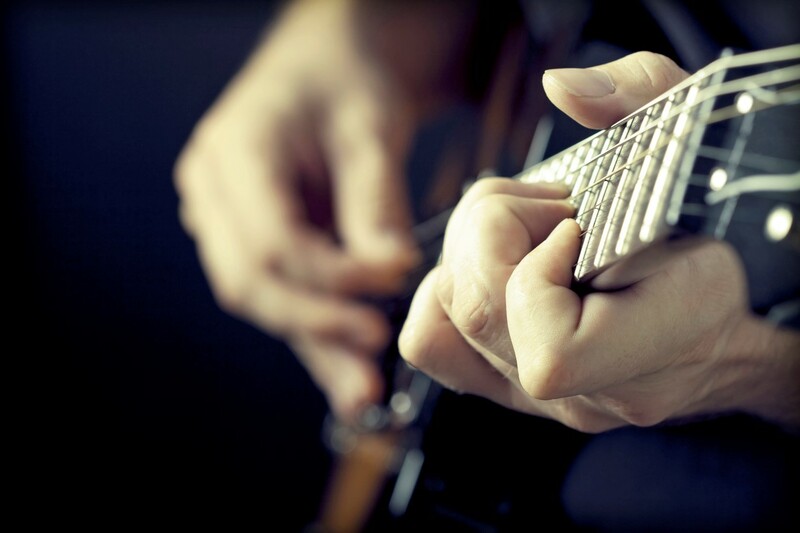 He has also written guitar lessons for several websites and he teaches regular classes. For more information on Raitt, you can visit his website. The best part of the live music events at the Orange Coast Winery is that they coincide with our tastings. While you sample our amazing wines, you’ll be treated to some excellent tunes. If you have questions about who’s performing this week or anything else concerning the winery, don’t hesitate to get in touch. You can call us at 949-645-0400 or send an email to ocwoffice@gmail.com. As the saying goes, there's no accounting for taste. Every vineyard will make a case that their wine is the finest. There are more than 10,000 varieties of wine grapes grown across the world, and when it comes to wine and its consumers, there are as many different favorites as there are labels. Before highlighting some essential types of wine, it's necessary to return to the basics. 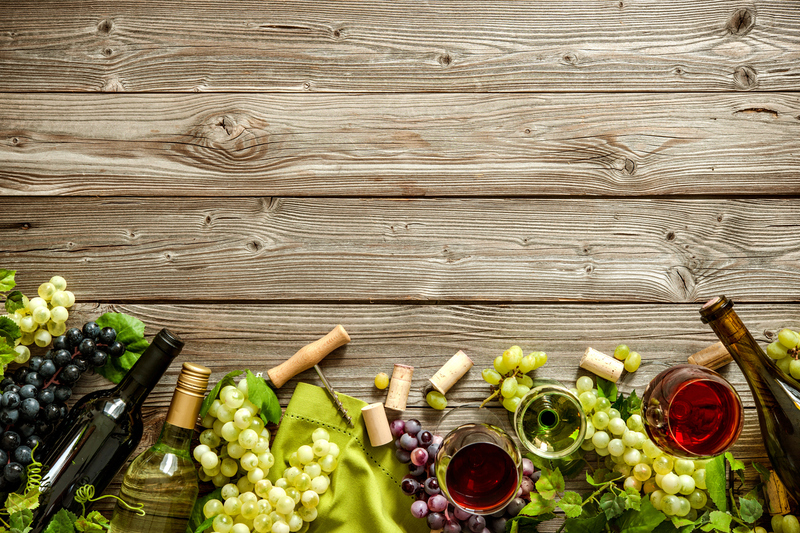 Wine may fall under five primary categories: red, white, sparkling, rose, and dessert. Classifications then branch off into dry and sweet wines, and flavors deepen even further based upon qualities like acidity and tannin (bitterness). For now, let's stick to the five basic types and list a few wines that can rightly be called indispensable. Taking its name from the French for “blackbird,” Merlot is a rich, dark red wine derived from one of the world's most popular grapes. The flavor of Merlot is said to give hints of black cherries, licorice, plums and chocolate. This French grape reached American shores in the mid-19th century and since then, the wine has become a top-three favorite. Merlot is typically less sugary than a Cabernet Sauvignon, with which Merlot is often blended. Leaning toward the dry side, Merlot has also been classified a medium-flavored wine. If you're new to Merlot, you may enjoy pairing it with steak, fish, or pasta. Hugely popular in Argentina, Malbec is another French-derived dry, dark red that pairs well with lamb, game, and beef, as well as spicier fare like Thai or Indian. Its complex taste and aroma have been compared to earth, leather, tobacco and pepper. Typically of mid-level acidity and tannin, Malbec possesses a tangier and sharper flavor than Merlot. White wines are more crisp due to their lower tannin and higher acidity. Chardonnay hails from the Burgundy region of France and the ability of its grape to adapt well to various regions has seen this wine become the most popular white in the world. Chardonnay is often associated with bright, citrusy flavors and is best enjoyed with mild foods such as baked poultry or fish, sweet potatoes, and other buttery vegetables. Although not as commonly known as its peers Sauvignon Blanc or Pinot Gris, Sémillon merits a strong place on most wine lists due to its versatility, with dry and sweet varieties. Its taste has a zesty flavor comparable to apples, lemons, and pears when grown in cooler climates, and hints of mango, peach, and papaya when raised in warmer ones. If you're serving Sémillon as your table wine, couple it with light foods like seafood salads, crabs, and clams. Cava, officially Cava DO (“Denominación de Origen”), consists of three white grapes (Parellada, Xarel-lo, and Macabeu) which, when combined, lend this sparkling and fruity wine a typically floral aroma and a citrus-based taste. Cava also comes in aged (nuttier) Brut and Rosé varieties and can have more of an earthy taste than its glamorous cousin, champagne. It's a versatile wine that goes well with white meat, cheese, rice, and seafood. It had to make the list! Named after its region of origin in northeastern France, there's no other wine that has the public profile of champagne. It's the toast of winners and the marker of joyful occasions –and as such, is one of the most widely-consumed varieties on earth. Described as floral, fruity, and spicy, the dryer Brut champagnes and the sweeter Secs offer the best of these flavors, with each benefiting from being well chilled before serving (the benefits being a boost to fizz and flavor). Lobster is a firm favorite to serve with champagne, as are other forms of seafood like oysters. Grilled chicken and egg dishes also pair well. The Syrah blend of this particular wine is darker than your typical rosé (which is usually pinkish in tone) and has sweet tones of strawberry, peach, and olive. You have plenty of options to team Syrah with food: It's enjoyable to drink with pork, light breaded meals or pasta, pizza, crispy prosciutto, salads, or shrimp. A particularly fruity pink, Moscato conjures up images of orange, pomegranate, and cherry for its drinkers. It sits nicely beside spicy foods or zesty Chinese meals and salads. It's sweet enough by some to be classed as a dessert wine, but as we said: There's no accounting for taste. You can pair a pink with beef or a dark red with fish if it works for you! A traditional and highly-respected wine with a dash of brandy, Port is a firm favorite whose hybrid recipe lends it a heavier, sweeter, and richer taste than many wines. It's also very versatile when paired with food. Commonly served towards the end of a meal (hence the term “dessert wine”) with items like cheese, cakes, chocolate or biscuits, port can also precede a meal as an aperitif or be served along with the main course. If you choose the latter, try combining Port with a white meat salad. Sherry is a delicate wine, drier in texture than Port and with a lower alcohol content. Like port, it should be stored at lower temperatures. Also like port, it adapts well beside any meal. Whether you choose white meats, fish, salads, or light seafood with complements of nuts, rice, or mushrooms, there will be a sherry that suits your purpose. If you can't have another bite, then sherry, port, or brandy go famously with after-dinner cigars. At Orange Coast Winery, we believe a blend of science and art can make the good life even better. With precision and passion, we select the finest grapes from our own vineyards located throughout the Temecula Valley and the Lodi area of Northern California. You can email us at ocwevents@gmail.com for private or corporate events, at ocwoffice@gmail.com for Admin or Wine Club information, or simply call 949-645-0400 to get in touch.